Longing for a loyal and reliable companion? For the entire month of love, you can have your Hyundai romance with the MWAH (Madly Wanting a Hyundai) promo which offers low down deals on the hottest Hyundai cars. To help you find your soulmate of a ride, the MWAH promo allows you to get the car of your dreams at affordable low downpayment schemes. 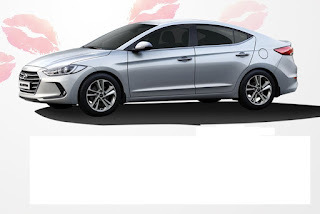 If you want a car that’s as dynamic as your feelings, the Hyundai Elantra 2.0 Limited AT can be yours with an All-In Downpayment of only P 58,000. 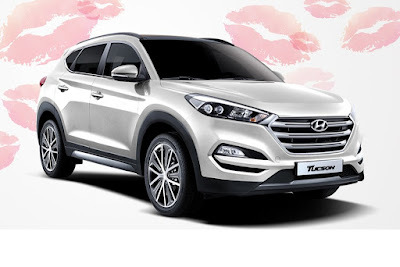 Meanwhile, the compact SUV of your dreams, the Hyundai Tucson 2.0 GL 6MT 2WD can be yours with an All-In Downpayment of only P 120,000; while the family-friendly Grand Starex 2.5 GL 5MT can be yours with an All-In Downpayment of only P 168,000. For those who seek a smooth sedan that exudes sophistication in any situation, say yes to the Hyundai Sonata with 0 (zero) percent monthly interest up to 2 years at 50 percent downpayment. But the romance doesn’t end there! MWAH promo buyers can get the chance to be one of the three lucky winners of a free trip for two (2) to Jeju Island, Singapore, or Hongkong. The exciting low DP schemes are also available for other Hyundai models; so rush to the nearest Hyundai dealership. Promo runs up to Feb 28, 2017 only.